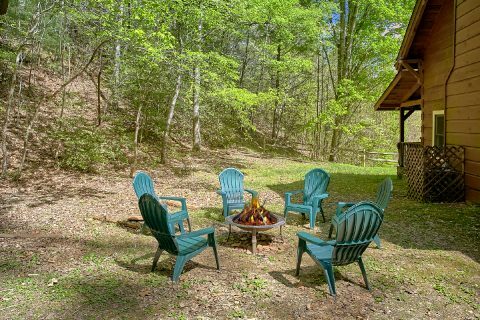 "Oakland #1," a spacious cabin rental in the Smokies, rests next to the Gatlinburg Glades Arts & Crafts Community's charming craft shops and restaurants that also places you minutes from Downtown Gatlinburg and Pigeon Forge attractions. 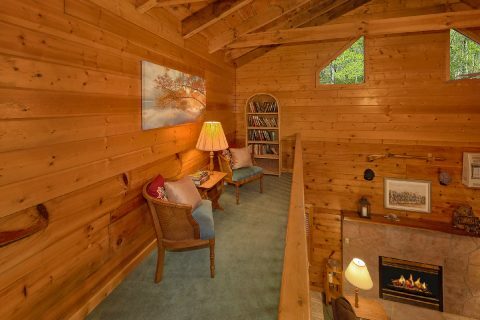 Vacationers looking for true solitude will love this cabin rental in the Smokies. 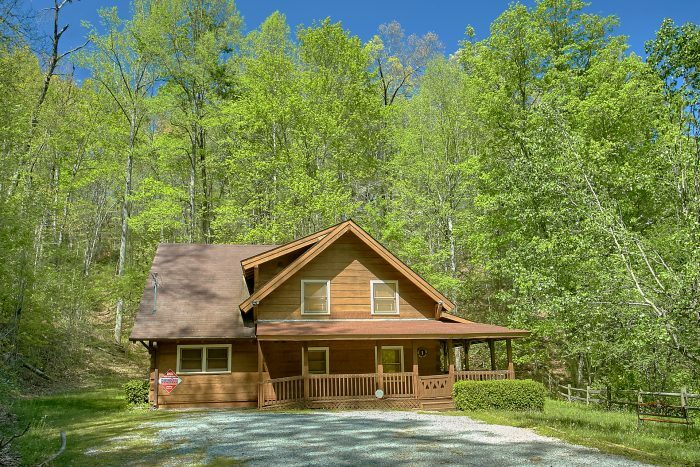 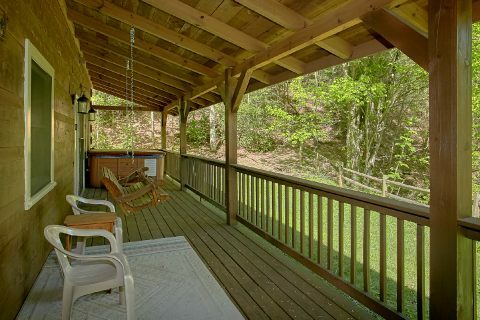 This 3-bedroom cabin in the Smokies lies in a 12+ acre secluded setting, inviting guests to relax with its scenic mountain setting complete with a stream. 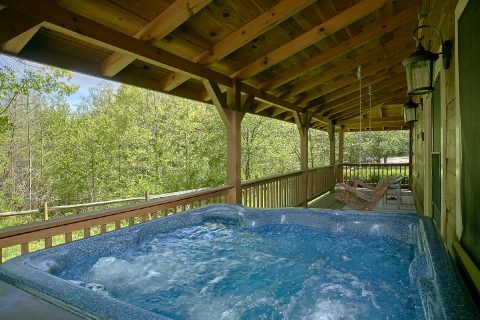 The large hot tub, rockers, and porch swing offer comfortable places to unwind while you enjoy the sights and sounds of the outdoors. 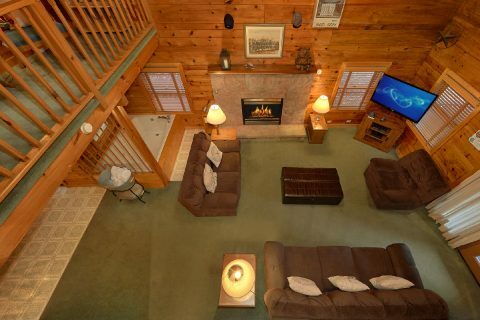 The charcoal grill invites you to enjoy a meal in the mountain air with your family. 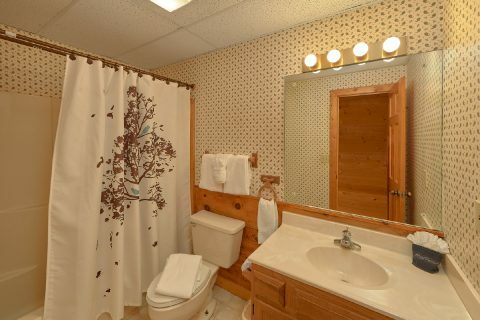 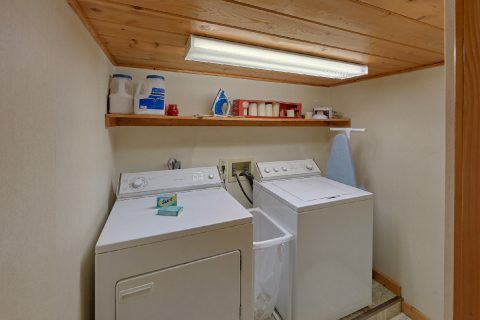 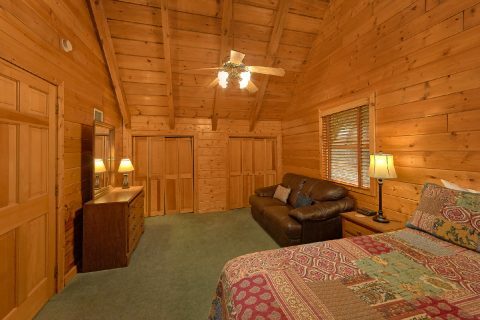 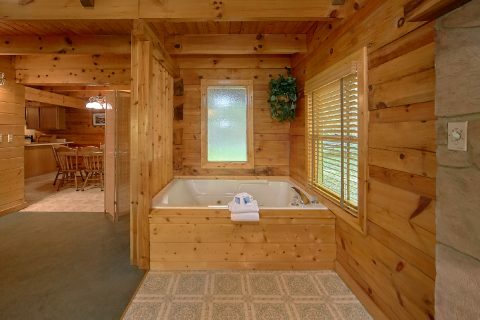 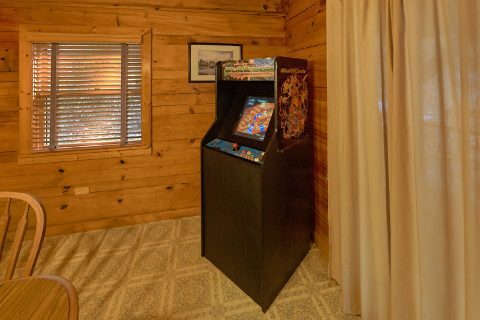 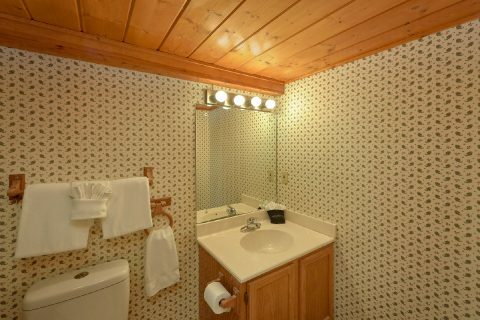 Inside, enjoy this cabin in the Smokies' comfortable amenities that will make you feel right at home. 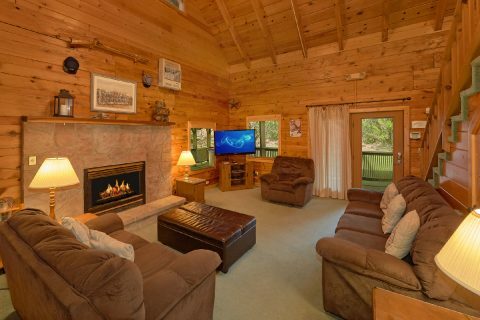 Step into this cabin rental in the Smokies' welcoming living room complete with gas fireplace for those chilly winter nights. 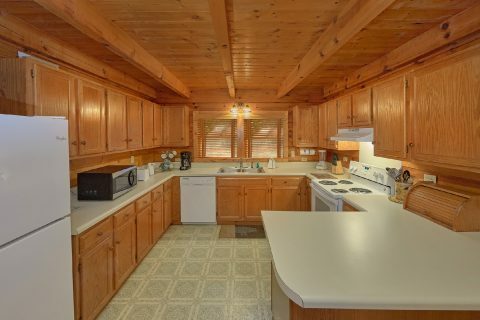 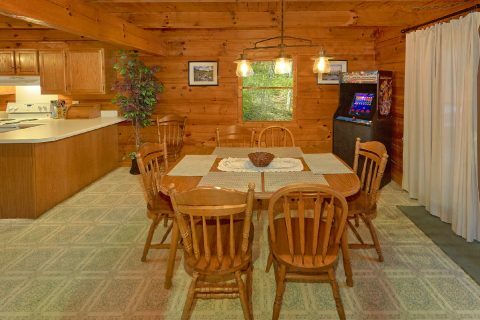 Your Smoky Mountain cabin rental boasts a spacious kitchen with plenty of counter space for preparing snacks to holiday meals in your cabin. 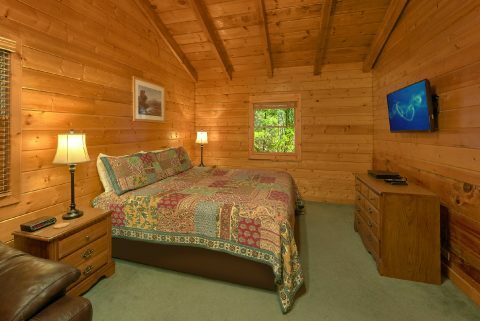 Satellite Internet allows you the chance to stay connected to the outside world from your cozy cabin hideaway. 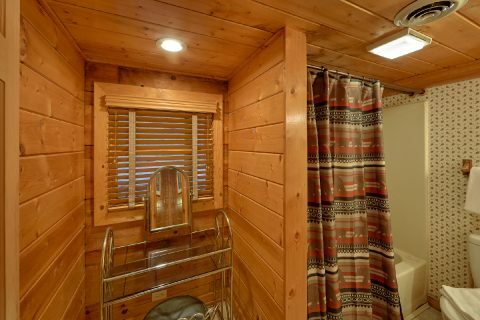 When it's finally time to turn in for the night, your 3-bedroom cabin in the Smoky Mountains provides 2 king-size beds and 1 queen-size bed, as well as a private full bath in the main level master and a shared full bath for the 2 upstairs bedrooms. 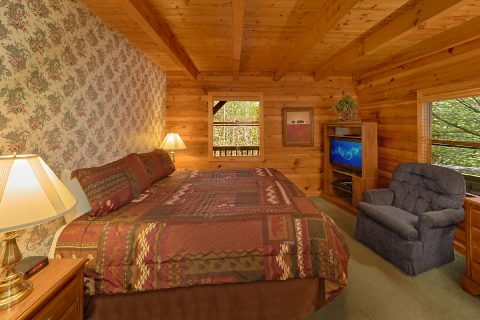 BOOK your cabin rental in the Smokies ONLINE with Cabins USA and get immediate SAVINGS!